When it comes to interacting with businesses, millennials are all about the online experience—except, a new survey shows, when in need of real estate services. Seventy-five percent of millennials recently surveyed by CentSai, a financial wellness website, would prefer to enlist the help of a local real estate agent than an online agent. Seventy-one percent, in addition, would prefer to work with a local mortgage lender. Why favor face-to-face collaboration? “Amount of hassle,” handholding,” “local knowledge,” “longstanding relationships” and “personal touch” were all given as reasons behind the desire to hire local. The findings of the survey correspond with the results of a recent Ellie Mae survey that revealed mortgage borrowers—millennial and others—would benefit from a combination of in-person and online communication with a lender, and more seek out referrals for lenders, rather than find one online. They also echo remarks made by former Realogy Franchise Group President and CEO Alex Perriello at RISMedia’s 2016 Real Estate CEO Exchange. “For the real estate professional to be disintermediated completely, the human species would have to make a fundamental change that they would rather rely on a robot than one another when making the biggest investment of their lives,” Perriello told attendees. The internet is still an important part of the home-buying process for millennials, however, according to the CentSai survey. Ninety-one percent of those surveyed would look for prospective homes and neighborhoods online, either through an app or a site—in line with National Association of REALTORS® (NAR) research that shows 95 percent of homebuyers rely on the internet. For real estate professionals, the survey’s findings emphasize the value of referral-based business in gaining millennial clients, as well a balanced, tech-and-touch approach to customer service. 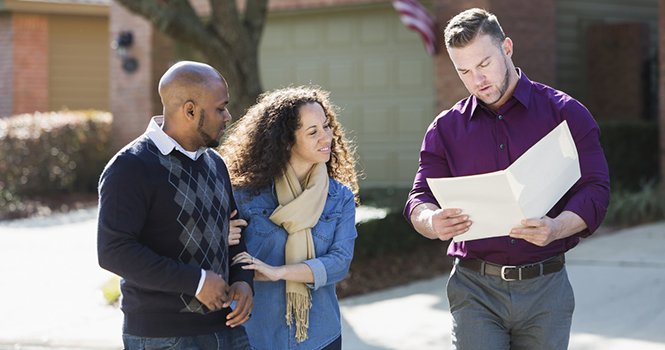 Fifty-six percent of the millennials surveyed, decidedly, plan to buy a home in the next two years. ​For the latest real estate news and trends, bookmark RISMedia.com.